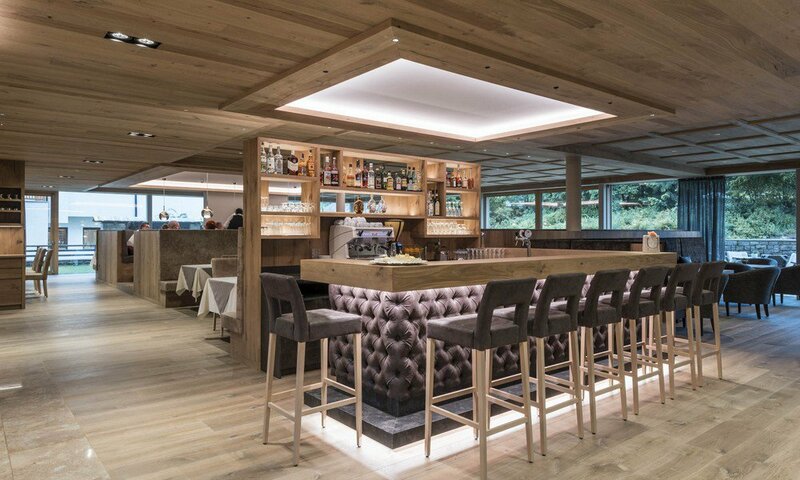 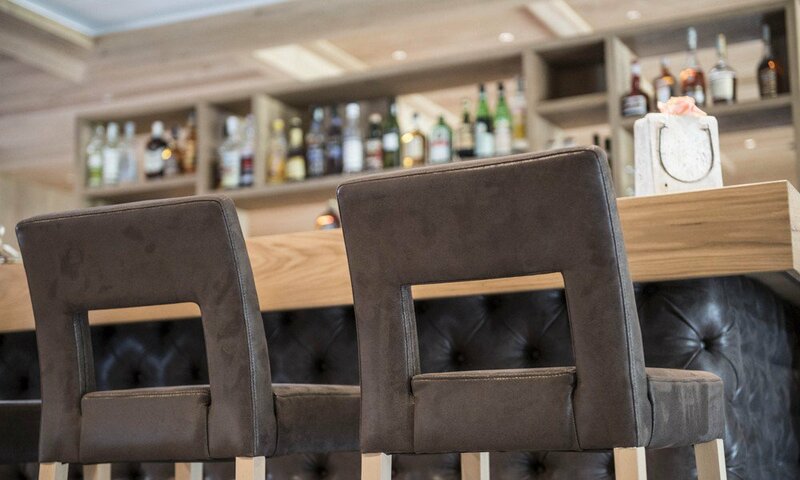 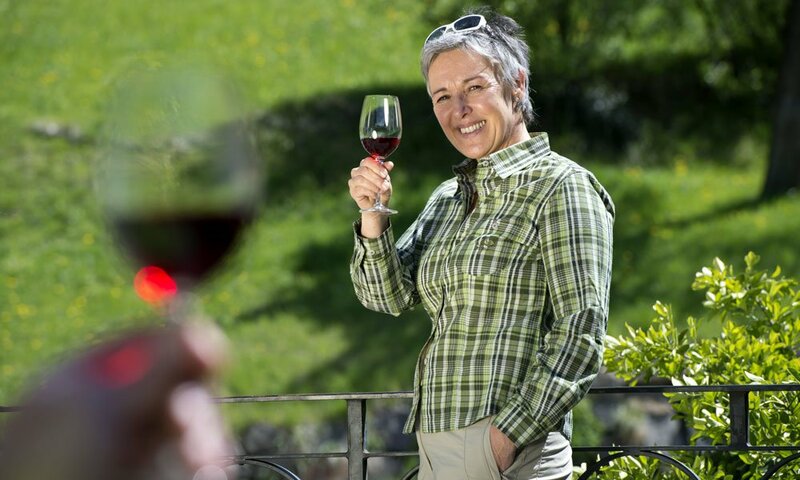 The hotel bar at the Hotel Madonna **** Alpine & Charm has been completely redesigned. 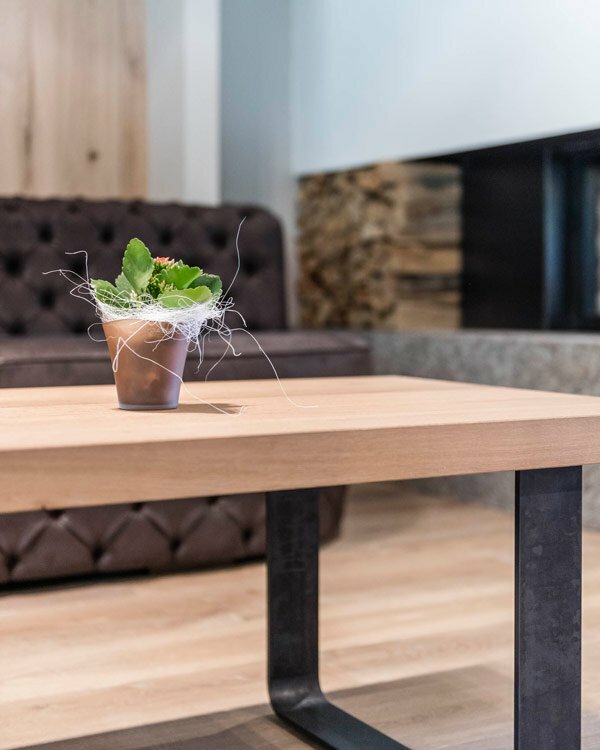 It now welcomes our guests in a modern variation of the quaint Tyrolean style. 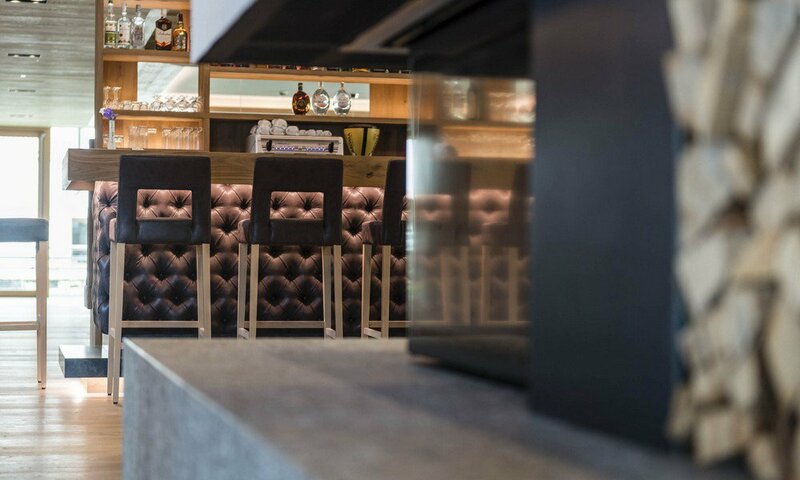 Light-flooded during the day, and at night overlooking the stars, you may round off your evening in style with a drink at the central bar.